Indie developers have the freedom to try new and crazy ideas that bigger studios might not risk. All seven of the games are pushing game design past their limits, from time-looping Shakespeare to breaking fourth walls and forced perspectives to sacrificing your friends to summon elder gods. 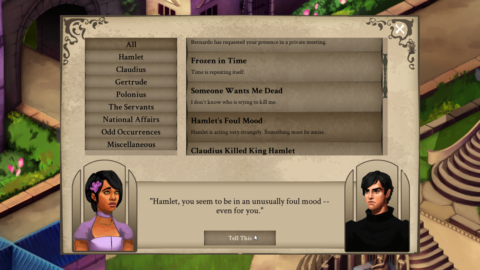 Work your way through the plot of Hamlet as Ophelia, plus Groundhog’s Day. Image source: Elsinore-game.com. A different take on Shakespeare’s Hamlet, this time-looping adventure game throws you in Ophelia’s shoes as she tries to avoid the terrible fate that awaits her and everyone she knows. Something’s not quite right in this museum, I think. Image source: Pillowcastlegames.com. 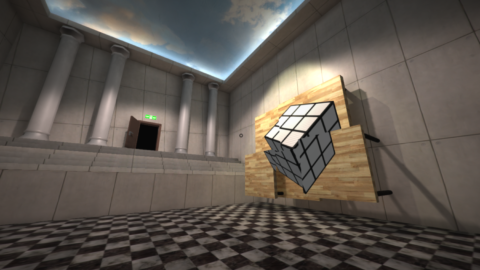 This first-person puzzle game plays around with forced perspective and your understanding of spatial relationships. Jump, twist and shift your way through the world of Four Sided Fantasy. Image source: Foursidedfantasy.com. Breaking the fourth wall was never so fun and creative as in Four Sided Fantasy. Added points for having a boy and a girl avatar to choose from. An endlessly adaptable game filled with charming characters and a unique story. Image source: Sunbreakgames.com. 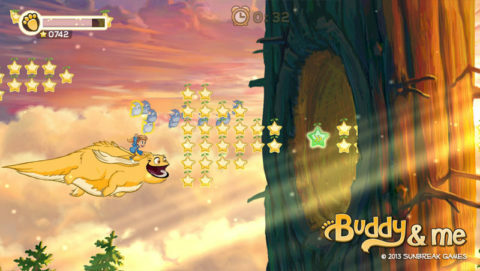 A sweet, beautifully colorful game perfect for players of all ages, Buddy & Me is about a kid dreaming their way through Pacific Northwest–inspired landmarks, fantasy and friendship along with their best friend. Genre-breaking never looked so good. Image source: studioatma.com. Gravastar is combining the best parts of JRPGs with arcade fighting games, using a sci-fi fantasy flair, clean graphics, and a unique, fast-paced battle system. Procedurally generated enemy flight patterns mean a level never gets boring. Image source: Starrmazer.com. This roguelike horizontal scrolling shooter is filled with pink explosions, fun voice overs, and a quick learning curve. Trust no one, especially not those other players. Image source: Galvanicgames.itch.io. Work against your friends to claim the honor of raising an ancient deity who may or may not eat you in the end. Each level has different dangers and mechanics, focused on flying combat and sacrificing your opponents. If indie games are catching your fancy, and with this selection how could they not, think about joining the fun yourself! Seattle Indies is an amazing developer community that hosts weekly work sessions, monthly socials/critique circles, and yearly gamejams, so there’s something that fits into everyone’s schedule! Have fun planning which games you’ll check out in what order at GeekGirlCon ’16: it’s coming up fast! Buy your passes now, if you haven’t already. Can’t wait to see you!